And the Oscar goes to … Maradona!!! 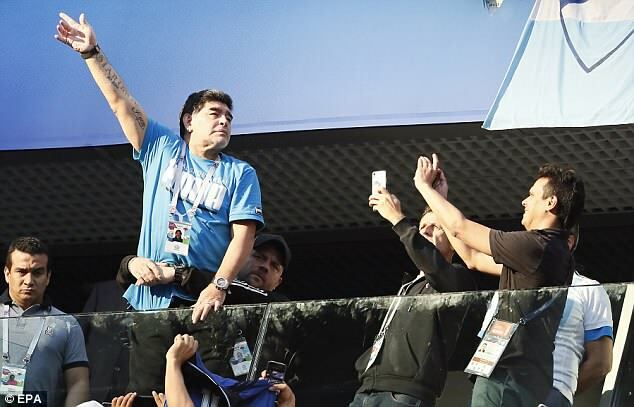 Diego Maradona is providing remarkable footage at the World Cup for a documentary on his life, which is being produced by an acclaimed film-maker and partly funded by Channel 4. London-born director Asif Kapadia, who made the iconic Senna documentary in 2010 and an Oscar-winning film on the short life of singer Amy Winehouse, sees his Maradona work as the third part of a trilogy on child geniuses and fame. And Maradona’s crazy behaviour in Russia will give the project involving Film Four unrivalled publicity before its cinema release late next year. Maradona talks in a clip about how he would drink and take cocaine from Sunday to Wednesday and then prepare for a weekend game — probably when at Napoli, whom he led them to the Serie A title — from the Thursday onwards. And Maradona is living up to that lifestyle here. 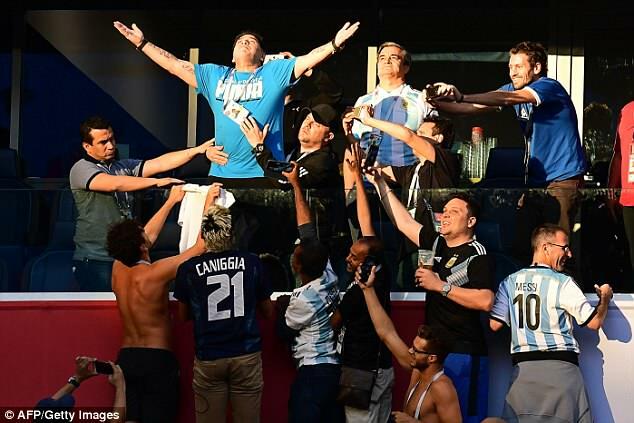 His wild antics, including gesturing at fans, were such that he needed attention from paramedics in Argentina’s win over Nigeria on Tuesday. A video is also doing the rounds of Maradona on a private jet during the tournament. He is drinking a glass of vodka balanced on his biceps after a massive meal, and with a suspicious packet of white powder by his side. All this while supposedly being an ambassador for FIFA, who pay him £10,000 a day. FA head of medicine Dr Rob Chakraverty is not the only senior figure to leave British Athletics around halfway through an Olympic cycle. Stephen Maguire, head of sprints and BBC Sports Personality Coach of the Year after winning four world championship relay medals in 2017, is leaving to become performance director for Scottish Athletics. So is deputy performance director Michael Cavendish, who is joining British Triathlon. 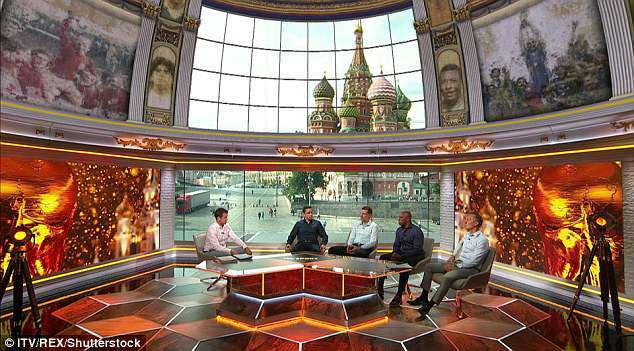 ITV Sport, who have a serious rivalry with the BBC at the World Cup, can claim to have won the plaudits for the design of their Moscow studio. Both networks were given identical space next to one other in the broadcasting complex overlooking Red Square. But ITV’s studio, which includes a dome ceiling showing the full height of St Basil’s cathedral as a backdrop, has impressed FIFA enough for a 20-strong delegation to visit for a tour. The party made up of FIFA confederation representatives and broadcasting executives were shown around by ITV Sport chiefs Mark Demuth and Paul McNamara. 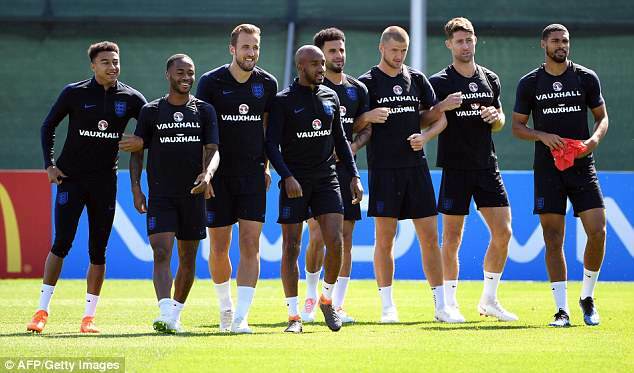 The main prize is to attract the biggest viewing figure and ITV have a chance, with a peak-time 7pm kick-off tonight, of overhauling the 18.3million who watched England beat Tunisia on the BBC. Allied bombing destroyed Kaliningrad, when it was called Konigsberg and German-occupied during the Second World War. And by chance the official England tie, supplied by sponsors Marks & Spencer and worn by the FA suits on their arrival in the city, bares a close resemblance to the official RAF tie. The sensitivity is increased by England fans still regularly singing about ‘10 German bombers’ and how ‘the RAF from England shot them down’. An FA spokesman said the tie’s resemblence to the regimental one is an ‘unfortunate coincidence’. 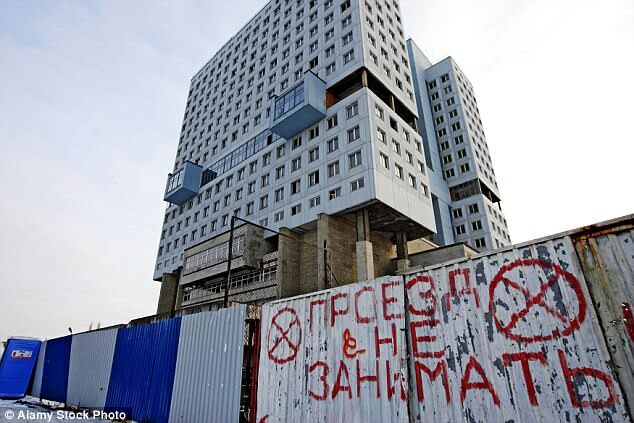 The security briefing ahead of England’s game against Belgium on Thursday warned the Kaliningrad stadium team that England supporters will throw their beer in the air, and some of their plastic pint pots as well, if Gareth Southgate’s side score. This anti-social reaction to England goals at the World Cup is a growing trend in pubs and clubs at home and in Russia, where alcohol is allowed to be drunk in sight of the pitch. Not many works of art are beyond the pocket of an England footballer these days. 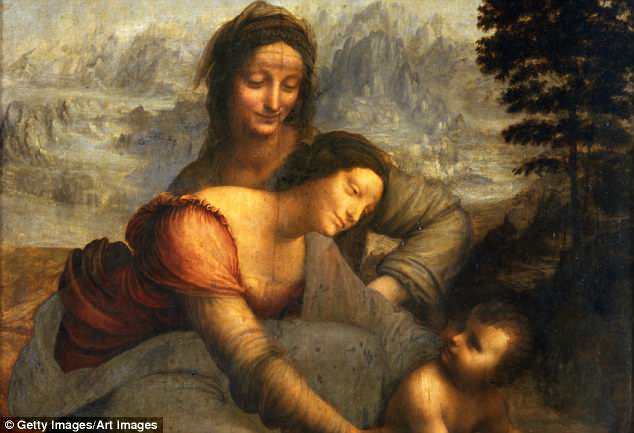 But one of Gareth Southgate’s squad, who inquired about the cost of Leonardo da Vinci’s The Madonna and Child when visiting the Hermitage Museum in St Petersburg, was told it was priceless.